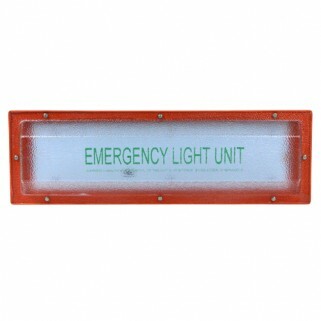 The Starlight Heavy Duty Series 2ft Emergency LED Panel Light is a cost effective, low voltage, waterproof, lightweight, flame retardant, robust ABS and polycarbonate class II LED light fitting, designed to increase energy saving without losing any of its light emitting properties. 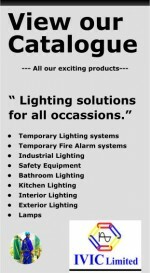 The LED Panel Light can be utilised either indoors or outdoors in temporary and permanent lighting installations, where the conditions are hazardous, arduous and where safety is a major fator. The LED Panel Light is currently used in heavy industries that include ship building, ship repair, paper mills, water companies, breweries, railways building and construction industries ect. Due to its lightweight design the LED Panel Light can be supplied with a variety of suspension fixings such as plastic eye bolts, trunking adaptor brackets or neodymium magnets that will allow it to be secured to metal structures. The design features also take into consideration that the electrical terminations are external to the fitting allowing a number of plugs and sockets associated with festoon systems to be incorporated.